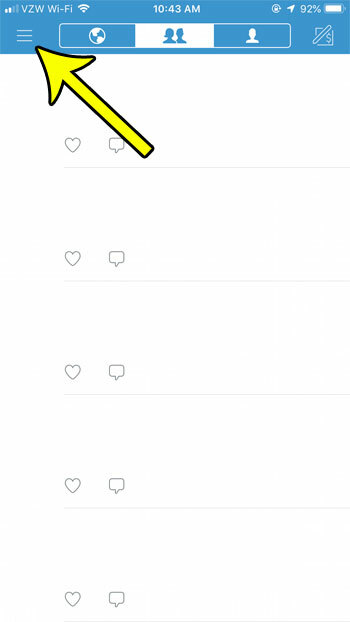 Venmo is a really helpful app that makes it simple to send money to other people. Additionally, transferring money out of your Venmo account to your bank account is very fast, meaning that you can get your money out of Venmo when you need it. 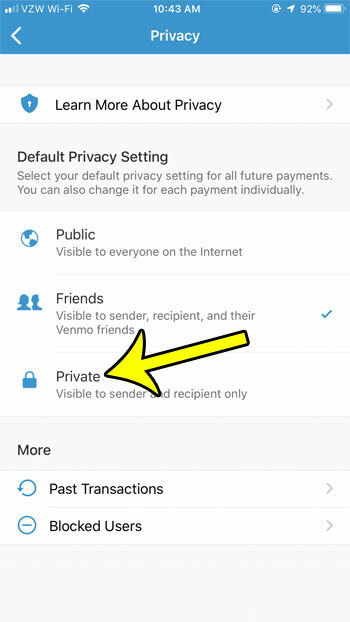 One of Venmo’s attributes is a social component where you can see payments that your friends have sent to other Venmo users. This can be fun, but you may have some transactions that you would prefer to keep private. 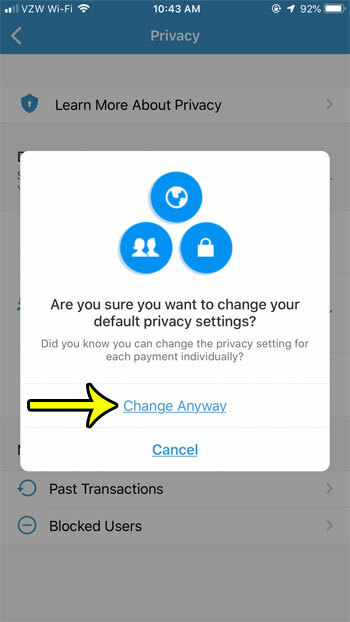 Unfortunately the Venmo app defaults to making your payments public, although you are able to switch a payment to private before you send it. 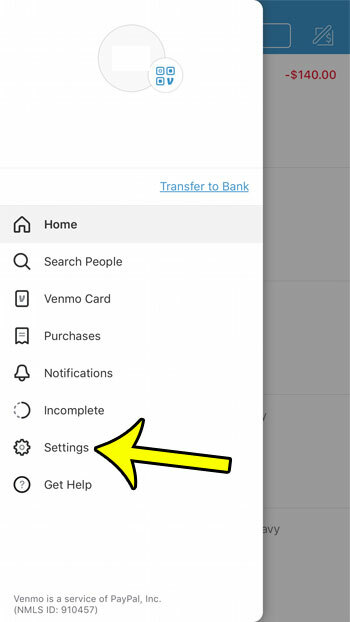 But if you would prefer to make all of your payments private by default, then our guide below will show you how to accomplish that in the Venmo iPhone app. The steps in this article were performed on an iPhone 7 Plus in iOS 12.1.2, using the most current version of the Venmo app that was available when this article was written. 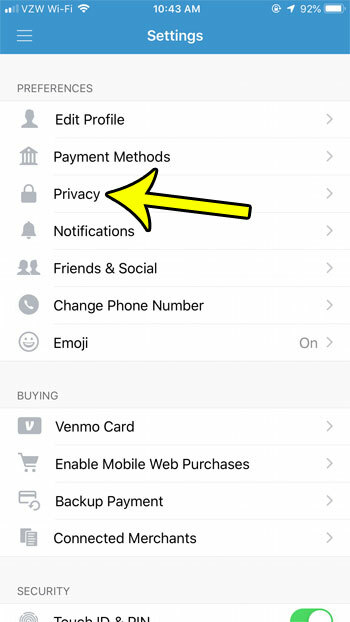 Once you complete these steps, all future Venmo payments will be private (only visible to you and the recipient) by default. Step 1: Open the Venmo app. 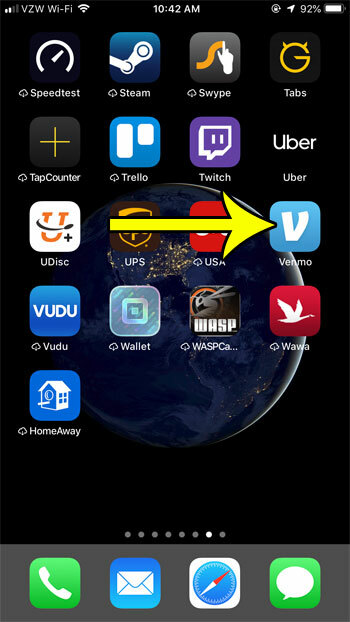 Step 2: Touch the hamburger menu button at the top-left of the screen. Step 3: Choose the Settings option. Step 4: Select the Privacy option. Step 5: Touch the Private option. Step 6: Tap the Change anyway button to confirm that you wish to make this change. Would you prefer not to have your iPhone constantly tracking your location? Find out how to turn off the iPhone’s location services so that your apps aren’t able to use information about where you are.